Reliance Jio will now use the satellite to strengthen its 4G network and to provide 4G internet in villages and remote areas. With the technology of Hughes Communication (HCIL) and Indian Space Research Organization (ISRO), Jio will start the first satellite-based network service of its kind. 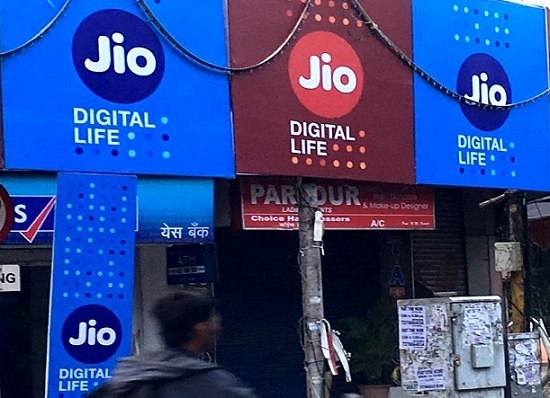 Mukesh Ambani's telecom company Reliance Jio is adding more than 400 LTE sites, which are outside the reach of existing backhaul services on the ground. This network is currently serving as deployment on many sites. Jio has assigned contracts to more than $ 10 million to Hugh's Communication to set-up satellite blackhole for such 4G networks. Most telecom companies in India still use microwaves to connect towers because it is very expensive to do this through fibre optics and it can also cause problems of write off. Due to this, it is very difficult to use a microwave in the rural areas, especially in hilly terrain. It also requires a lot of investment. For these reasons, Jio has come up with the option of satellite for its presence in these areas. 'Telecom is using Hughes' Jupiter system for Jio 4G sites' support. This satellite system is the key to realizing the long dream of connectivity to every part of our country. In partnership with Hughs, Jio has planned to set up two meaning stations in Mumbai and Nagpur, and two mini hubs are being built in Leh and Port Blair, to provide better connectivity to these areas such as Leh, Ladakh, Andaman and Lakshadweep. The satellite is not like a microwave but it can get speed from 10 Mbps to 30 Mbps for each site.